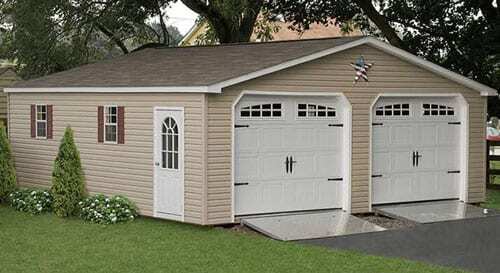 The patriot garage is a crowd favorite. 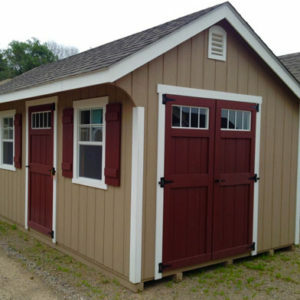 Pressure treated floors, pressure treated 12″oc floor joists, 2′ x 6′ roof rafters, homestead garage door, large strap hinges, 2-24″x 36″ windows with shutters, 36″ service door, 7’3″ side walls, 6/12 roof pitch and deluxe trim package. The siding can come in duratemp, vinyl or LP smart siding. 10′ and 12′ width up to 26′ in length. 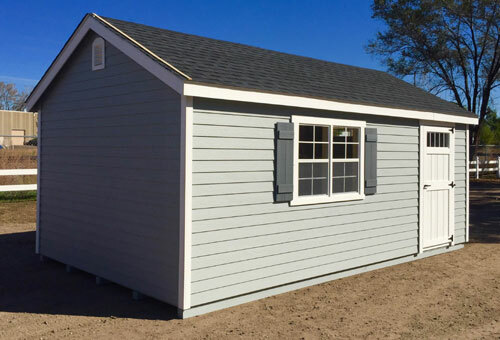 As shown 12′ x 20′ with LP siding.